C. E. Clark has had a curiosity about the universe and other possible intelligent life there since she was about 10 years old. You know how we have been sending radio signals out into the cosmos for decades hoping to contact intelligent life somewhere ‘out there?’ Yes, hoping to receive a response to our radio signals, because that would prove that intelligent life (besides what passes for our own) exists somewhere else in the universe besides here on planet Earth. Since it happened so long ago, and since my research shows The Wow! Signal has been, according to Wikipedia, “the subject of significant media attention,” from the time it was received, I am wondering how many other people were unaware of this Wow! Signal, like myself. All of my adult life having been an avid reader of magazines, and periodicals (Scientific America and the likes – not just Martha Stewart Living), and having watched the various network’s news daily (CNN, ABC, CBS, MSNBC, etc.) when I still had a television, I have never heard of the Wow! Signal until just a few days ago. How did this Wow! Signal happen without my having heard about it!? I asked a few people over the last few days if they knew about it, and they said they had not heard of it before either. National Geographic Is Publicizing the Wow! Signal and That Is Where I First Heard of It Just a Few Days Ago. Then I thought if I had not heard about the Wow! Signal that happened nearly 35 years ago until recently, and several other people I know have not heard of it, then maybe there are other people around the world who may not have heard of it either. Maybe those of us who have not heard about this signal before are not alone – no pun intended. For people not familiar with space alien talk, the often-used phrase, “we are not alone,” when talking about the possibility of extraterrestrial life, is quite common. You will often hear that question posed by someone with a Rod Serling like voice at the beginning of documentaries about space exploration. On the chance that there are other people in the world as uninformed about this “Wow! Signal” as I have been, I decided to write a hub about it. I came across news of this Signal quite by accident or I would still not know about it. Being a news junkie, on most subjects, not only outer space and alien life, I am still puzzled as to how the media could have been so abuzz (as Wikipedia says they have been and still are), about this event without my hearing about it sooner. What is the Wow! Signal? How did it get that name? So lets backtrack a bit and determine first of all, what exactly is meant by the Wow! Signal? The Wow! Signal was a strong narrowband radio signal observed by Jerry R. Ehman on August 16, 1977. Ehman was at the time of discovery working on a SETI (Search for Extraterrestrial Intelligence) project at the Big Ear radio telescope located at Perkin’s Observatory in Delaware, Ohio, at the Ohio Wesleyan University. The Signal lasted for 72 seconds and had the distinctions scientists expected an extraterrestrial (not of this Earth) signal coming from an intelligent source outside of our solar system to have. Ehman was reportedly so amazed that the radio signal he had detected was a strong narrowband signal all but certain to have come from an intelligent source, that he circled the signal and wrote “Wow!” on the left side of the computer printout. This “wow!” became the name of the signal. The numbers and letters Ehman circled indicate the intensity variation of the radio signal received. The original computer printout is preserved at the Ohio Historical Society. The abbreviation SETI stands for Search for Extraterrestrial Intelligence. It is the name under which many different people and organizations operate that are searching for intelligent life beyond the planet Earth. Some of the best known projects are carried out by the University of California at Berkeley, and Harvard University in Cambridge, Massachusetts, using a variety of different scientific methods to search for intelligent extraterrestrial life. Initially the U.S. government contributed to SETI projects, but more recently most funding comes from private sources. What Have We Learned Since the First Signal Was Detected? Despite searches by Ehman and other scientists in the 1980s and 1990s, the signal has never been picked up again. Wikipedia reports that “In 1995 and 1996, [Robert] Gray also searched for the signal using the Very Large Array [radio telescope], which is significantly more sensitive than Big Ear. It seems we are no closer to solving the mystery of the Wow! Signal than we were when it was first detected and recorded. E.T. Is Here!! And He's Watching Us! Maybe Even Living Among Us! Dorothy Izatt, an 85-year-old woman from Vancouver, British Columbia has been 'visited' by UFOs for 30 years. Sound absurd? Mrs. Izatt has 30,000 feet of 8mm film to prove that there's something out there . 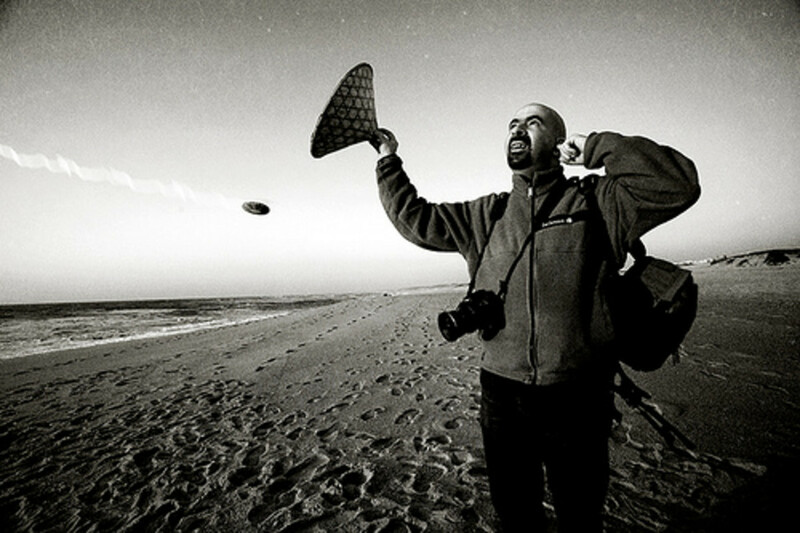 . .
Are UFO's Real? Do Aliens Exist? What Does The Government Know? Peggy Woods, thank you for commenting on this article. As it happens, just a couple of days ago I read an article about information Julian Assange got about UFOs from our government sources. 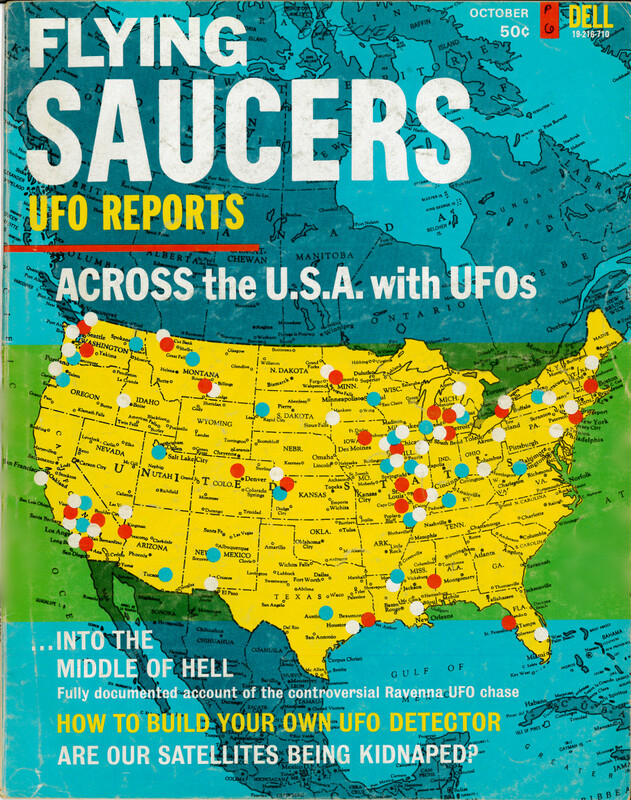 It seems that the "people' involved in the Roswell New Mexico spaceship crash back in the 50s were not from another world, but from this one! I'm talking about the "people' onboard the ship. It seems that our government is aware that a species of "people live in the mantle of this planet and have for longer than we humans have inhabited it. They are the reason that spaceships have been reported landing and taking off from the ocean and various lakes, etc. They are the very slender large headed creatures often depicted in pictures of 'aliens." Turns out they aren't aliens. Science fiction plots or real...someday we may know the truth. We may or may not be happy about that discovery. It makes for a great number of science fiction plot lines. Yes Robert Sacchi, it could go either way, but the risk to determine which way could be very great. It is an interesting choice of curiosity + possible great benefit vs expense + possible destruction. Robert Sacchi, thank you for your continued interest in this subject. I agree with what you say. I mainly think we shouldn't be assuming aliens from other worlds are going to be friendly, and we especially should't be trying to contact them. Contact wise it doesn't seem we have much of a choice. If they are more advanced they are much more likely to find us than we find them. There is also the "Whack a mole" theory. That being an advanced xenophobic civilization destroys any civilization advanced to a certain point. This way no civilization could threaten them. Robert Sacchi, thank you for your recent comment. My apologies for being so slow in responding. I think there may be more than one species of alien observing this planet and possibly visiting here or otherwise involved. There can be a huge spectrum of dispositions with just one species like our own, and so it stands to reason that different species might have different ideas about our species. I know we have never shown a lot of respect for other species we considered lower than ourselves. In fact some people in our species don't even consider all other members of our species as equals in any way, not just in the intelligence area. Also think some species may not be capable of compassion or anything relating to it. We have certain members of our own species lacking that capacity and I think there's no reason to think an entire species might lack that ability. If you could see how some scientists treat creatures they're working with you would think the creatures they're handling were not alive or capable of any feeling. In fact a lot of people believe that lower animals are not sentient and some go so far as to have no consideration for even their physical pain. Personally, I think it’s questionable if any good can come of trying to contact a species of creatures far advanced from ourselves and which we know nothing about. In fact, it might be worth considering where some of the people who disappear have gone to? What happened to them? Did they become scientific specimens? Were they used to replicate a new food and create a new type of livestock for aliens to dine on? If in fact they were abducted, why did their abductors have no consideration for the children/families, friends and loved ones left behind regardless of how these people were used? How often do we take these things into consideration when separating other specie’s babies from their mothers, etc.? Never. Yes, I suppose no one has any idea how another race of beings would treat the human race. I remember at the beginning of one Science Fiction movie there was the narration that ended by saying not all encounters would be friendly. Robert Sacchi, thank you for sharing your thoughts. I'm not sure extraterrestrials wouldn't exterminate as many humans as possible if they were to come here. Or perhaps they would use us for specimens to experiment on. Extraterrestrials Are Here! Colonel Gordon Cooper & Dr. Edgar Mitchell -- Former NASA Astronauts Agree"
Perhaps they would make us their slaves, or perhaps they might find no value in our existence at all . . . I think Stephen Hawking has a view similar to yours. Then again it would seem out smartest folks would also have an interest in not making contact. What would we need our top minds for when those aliens know much more than them. That would make an interesting article. Jobs that will still be needed when ET arrives. Whoever they be; wherever they come from, the Trump will want them to build a wall so they can't come again! Bob...I can't crap so I'm grumpy! Robert Sacchi, thank you for sharing your thought on this subject. I'm not sure we want to get the attention of aliens. What if they're not so friendly as many people think they are? During the Lewis & Clark Expedition, whenever they came across a new species they weren't previously aware of, they killed it and ate it to see if it would be useful as food or anything else. Any aliens that might hear and respond to our radio signals, it seems to me, would be far ahead of us technologically. We would seem just as stupid to them as ants and rodents do to us. What use might we be for anything except perhaps slavery or food? Maybe better not to show them the way to get here if they don't already know. I think I've read about a couple of cases where radio waves seemed different from background noise. As in this case nothing repeated. I remember reading an article where it was explained in our case we are encrypting signals, because it's more efficient to do so. These encrypted signals would probably be undistinguishable from background noise. It that's the case then a search for ET would seem senseless. DeborahDian, thank you for reading this article, for commenting, and for sharing your information about UFOs. I would say what you heard on GMA is an admission from somebody in the space program that UFOs are real. Will they now tell us what they are? Who they are? Just this morning, on "Good Morning America," they were discussing how the live feed is turned off every time a UFO flies near the International Space Station. Some people are wondering ... is there something they don't want us to know? It is all very fascinating and I am sharing this again. Thank you Deborah-Diane for sharing this article. I have no TV, so I didn't hear about the galaxy you mention here. You are so right in that humans have only just started to scratch the surface in exploring the vast universe. We haven't even finished exploring our own planet. There are many places in the oceans as well as in the deepest jungles where scientists and explorers have never been and have no knowledge of what is there . . . I think this article is fascinating and I am sharing it again. Did you see the newest photo that NASA released of an ancient galaxy? It looked like a giant hand. 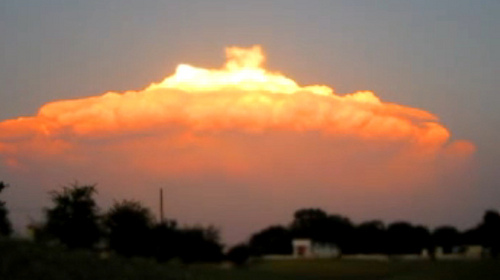 They were joking on our local news affiliate that it might be the Hand of God! There is so much that humans still have to learn about the universe. It is so immense and 99.999% of it is completely unknown to us. Who knows what is out there? I recommend you read thoroughly and carefully, and as slowly as it takes to accomplish those first suggestions, the following: "Is Science Capable of Proving God Exists or Does Not Exist? -- Did you know? There Is No Such Thing As Gravity." Try not to make assumptions about me. Assumptions are almost always wrong no matter what they're about, but that goes a dozen times or so about me. It's just one and one makes two over millions of years. Evolution. Of course I see it as marvellous, but not a mystery!! Once two atoms merged, they created a status quo which resisted destruction. 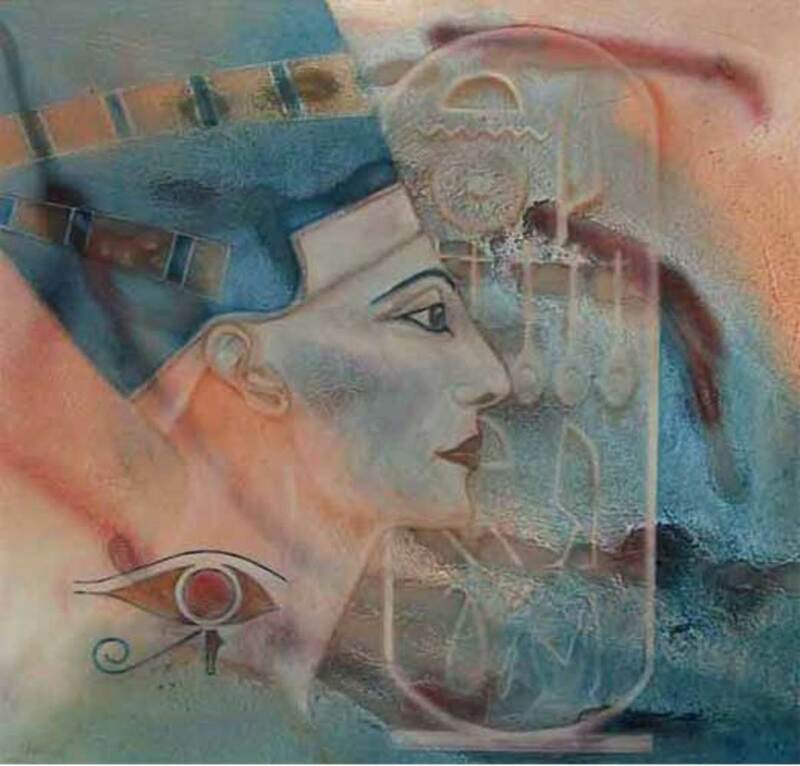 This stronger form attracted others by means of universal laws of attraction rejection. Why on Earth someone of your intelligence wants to throw metaphysics into the mix is beyond me Missy. Stone age men had no need for nor invented a deity, any more than animals do. This was done in our history by men seeking power...or deluded by charlatans. There has never been one shred of provable evidence for a Creator and there never will be. Blind faith is just that and may help to get one through the night, but when the lights finally go out, there will be no Pearly Gates or Judgement Day. What you were - we are - will merely return to the matter bank where the energy will form new life - or non-life (ahem). In that way, of course, we may anticipate some kind of reincarnation, but it's all mechanical. Thank you for stopping by Diogenes (Bobby). 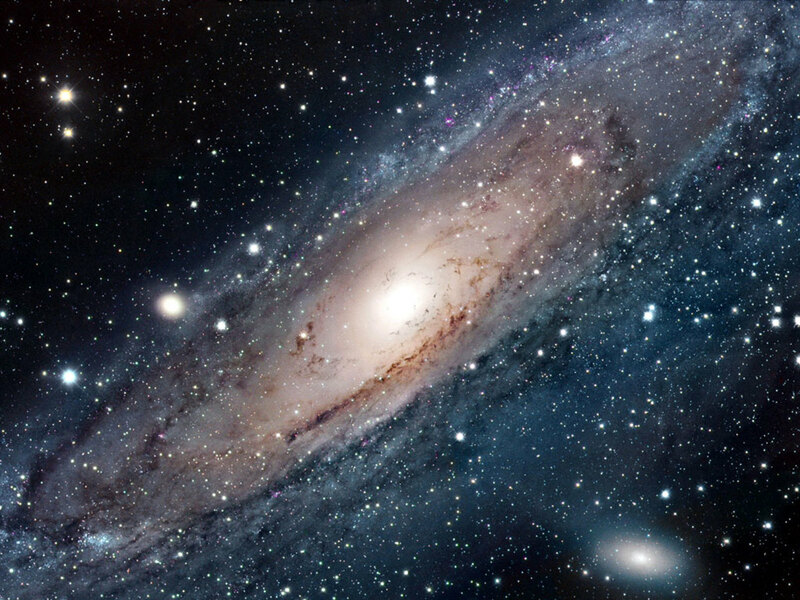 If you think it unlikely other beings like ourselves could exist in such a vast universe, the you should have no trouble realizing that 'some explosion' could not possibly have created so many complicated things as we have in our world. The inner ear alone is incredible and that is just one complicated amazing structure in this world. Humans alone have hundreds of complicated structures that make us up and then there's all the other life . . .
No, it seems to me that intelligent design is everywhere a person looks if only they will see . . . It must be extremely unlikely there's anything just like "Us" out there. Too many variables even taking in the size of the universe. I am amused when we use the term "intelligent life." All life or non life, ahem, that I am aware of has little free choice in being intelligent or otherwise. Of course, there's no gods in my equation who "made beings in his own image." I wonder what the image of God is to the "Little Green Men," etc. It's a little sad for me that I no longer see a miracle in all this. It's like - to me - some explosion threw a bunch of seeds into a bog and they sprouted. No designer; no architect, just blind serendipity, or shame. Thank you for stopping by Shyron. As I pointed out towards the end of this article, scientists tested for echoes and determined it could not be one. I should think aliens capable of things far beyond our imagination would look upon our intelligence something like the way we look upon the intelligence of ants. We know they have some intelligence, but it is so far beneath our own, or so we believe, that we really don't bother ourselves about them. If they get in our way we deal with them as though they were insignificant nothings. They are used for research and study sometimes, and they may be in an insect zoo somewhere . . . Thanks for the votes, pin and share, too! This is so interesting Au fait, but what if that "Wow!" was just an echo? Then I think what if it wasn't. Maybe the others are not as greedy and they consider the people on this planet low life and want nolthing to do with us. Diogenes (Bobby), thank you for taking time to comment on this article. What difference how 'scientists & philosophers' define life? Most of us are not thinking of being visited or contacted by highly intelligent paramecium or fungus anyway. We are thinking of beings sufficiently intelligent to attempt obvious communication and to come here from their world via some device they have created for that purpose. We are especially thinking in terms of other beings similar to ourselves in many ways. That may be a mistake, but somehow the idea of being contacted via the "Wow! Signal" by a super intelligent fungus sounds more like a B-rated movie than reality. Several well known people, including astronauts, say aliens from other planets are already watching us, and some believe they are already here among us. Read my article about E.T. Since many scientists and philosophers have decided that the word "life" is a misnomer in that it classifies the rest of matter as "non-life," and finding myself agreeing, I have lost a lot of interest in extra-terrestrial life, or even organic substances which might be found on other planets. Man has decided that a group of particles has "life" if it acts in a sophisticated way to stimulus and genetic programming, (etc). But we find "non-life" does this too. Elements become something else when they exchange their atoms and electrons, etc., rocks shatter in cold or heat, ice can become liquid or gas; all energy is in constant turmoil which less sophisticated - or imaginative- observers might call life, too. If there is some sort of energy accidentally aping life and non-life (for want of better sobriquets) out there in the universe - and I am sure there is - then, unless there are new ways of energy to manifest itself, it's the same old, same old. Thank you Jo_Goldsmith11 for reading and commenting on this article! Thanks for the votes and share too. When our Lewis & Clark Expedition of the western part of the country took place, whenever explorers found a new creature they hadn't known existed before they killed it and ate it. That was to determine if new settlers to the area would have sufficient food to sustain them until they could get their farms up and producing. They also wanted to determine what other uses the animal might have -- fur, or good skin for example. The intelligence of the animal was not even a fleeting thought. I suspect IF we have extraterrestrials here that they are from different planets. Some may be friendlier than others and no doubt they have some purposes in common and some not. Lots of people have disappeared and never been found dead or alive. I can imagine humans are in zoos on other worlds, as well as on their menus in some cases. Some aliens may even have decided that we make good slaves . . . So long as evil exists there will be haters and baiters . . .
WOW is right. This is some interesting reading. I never heard of this until I read your article. Amazing! I hope the E.T. 's are far more advanced in not being haters and baiters. 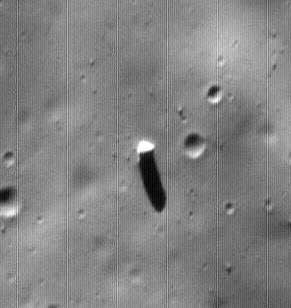 Intelligent life on Mars? THAT'S where it's all gone! DDE, thank you for reading and commenting on this article! Shyron, thank you for the votes, the pin, and for sharing this article. Agree that not everything on this issue is being shared with the general population. The Wow! Signal -- Have Extraterrestrials Responded To Our Radio Signals, interesting and so much to think about here about the response of the extraterrestrial life but somehow I find it weird and so not true. I just saw something on TV in relation to UFO and strange things and coverups. This is interesting and I still think a lot of things have been covered up over the years. Thank you Deborah-Diane for reading, commenting, pinning and sharing this article! Agree with what you say. Fascinating information. Certainly, a lot is going on in outer space that we know nothing about. I will enjoy Pinning and sharing this info with others! Thank you Peggy W, for pinning this hub! Agree it might put more advanced beings off to see how we interact with each other on this planet. On the other hand, like our own Lewis & Clark Expedition did when they found previously unknown species, they might just decide to cook us and eat us to see if we have any redeeming practical use! Anyone capable of visiting us would obviously be more advanced than we are at the current time with respect to space travel. If in fact they are watching us, they probably think that we are too war-like and combative to try to make contact with us. They have a good point! We cannot seem to get along with each other on our small planet. Pinning this! Thank you for stopping by and leaving a comment Shyron. Seems like strange happenings in the sky are heating things up again lately. Thank you Peggy W for reading, commenting, voting, and sharing this hub! Agree that given the size of the universe there must surly be some intelligent life somewhere and there's no reason to think it isn't more advanced than ourselves in some cases. Wow is right! This has always been an interest of mine and, I like reading about things like this. Thank you for reading and commenting on this hub mperrottet! I think this hub has more meaning when incorporated with all the other information on the subject of intelligent life elsewhere in the universe. I've always been interested in the search for extraterrestrial life, but I never heard of this signal. I guess since it never happened again, it was just an anomaly. Interesting stuff - voted up! Very interesting! I am one that had never heard about the Wow signal but also think that it is almost incomprehensible that we would be the only intelligent inhabitants of the entire universe. Voted up, useful, interesting and sharing. rajan jolly, thank you for reading and commenting on this hub! You might find more information in my hub titled: "E.T. Is Here!! And He's Watching Us! Maybe Even Living Among Us!" Perhaps this will help answer your question about whether extraterrestrials are looking for us. I've since heard about additional searches, and I would agree, it would be interesting if they at least got the alien's voice mail, but then again, Mr. Hawking suggests it might be better if we left it alone and stopped trying to get their attention. You know, when Louis & Clark went on their expedition the first thing they did when they came across a new critter they had no previous knowledge of was to butcher it and cook/eat it and see how it tasted! Yep, I've heard of the Wow! Signal and some of the follow up searches. I had hoped that they would have at least gotten the alien's answering machine. :) Great hub, Au fait! Lady Guinevere, thank you for sharing your experience. I think if I had an experience like yours I'd be scared for the rest of my life! What chance have mere humans against beings such as you describe? I read and responded to your comment. Yes it was very scary. I think I was scared for over a week. Lady Guinevere, thank you for sharing your thoughts and experience on this subject. I've read your article about your abduction experience with a UFO. Very interesting, and I'm sure very distressing for you. Thank you for sharing. Sparkster, thank you for adding interesting information to this hub! Oh there are lots of them that are just as unfriendly as we are. I had a UFO/ET experience this year that I wrote about. Some call me nuts but there are some that understand exactly what I am talking about. It's about My Alien Encounter--or something to that effect. Lady Guinevere, thank you for reading and commenting and for the votes! You may very well be right in all you say. I agree that except for possibly enslaving us, what use could beings so far advanced from ourselves have for us? Stephen Hawking did say that extraterrestrials may not be so 'friendly' as some people would like to imagine them. Thank you ftclick for stopping by and leaving a comment. I really don't watch many movies so I have no idea what's playing right now or who's in them, and I know less about movies made in past years. You may be right . . .
torrilynn, thank you for stopping by. Glad you enjoyed! A few whistleblowers have mentioned the wow signal. Apparently they couldn't detect any further anomalies when rescanning those regions/frequencies and so the wow signal remains inconclusive to this day. However, other whistleblowers have claimed other signals were also received but the same thing happened - no further anomalies. 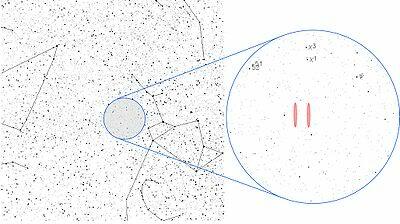 Great hub, the wow signal is something which has fascinated me ever since I first heard about it. moonlake, thank you for reading, commenting and sharing this hub! I didn't know computers had ever been set up to receive signals from other worlds. Interesting. Would be interesting if anyone ever received a signal like that! With Earth People's tract record who would want to be found by such as us! I really think that governments and military already know these ET's and have known them for a long tie. We don't get told everything and there are lots of information still being kept secret. Good updated information and I voted you up and interesting. This was made into a movie with Jodi Foster and Matthew McConaughey right? People have to be persistent in discovery. After 20 or 30 years of silence is no reason to scrap it. Good hub overall. Years ago when I first bought a computer there was a program that run on the computer for picking up signals from outer space. It might have been SETI I don't remember now. Interesting hub. Voted up and shared. Thank you sgbrown, for reading and commenting on this hub! You should read my hub on E.T. is Here! I use information from former astronauts who say they have seen ETs and that they are watching us. Who would know better than astronauts? Thank you Jamie Brock, for reading and commenting. I think I will need a video camera so I can make my own explanatory short video on the most mysterious thing I have ever seen in the sky one night. I know we have nothing on this planet that can do what I saw, and it was a long time ago. 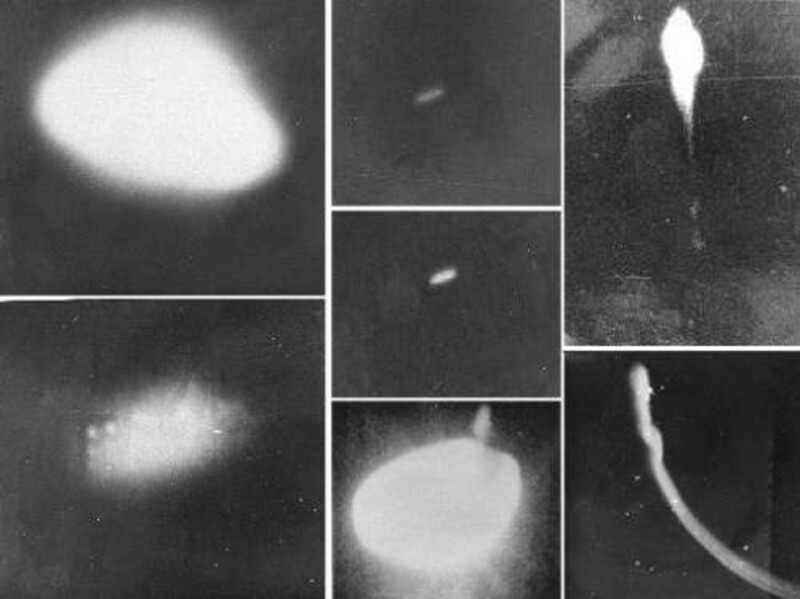 Even so, I try to keep an open mind that maybe this mystery of extraterrestrials and 'flying saucers,' will be resolved one of these days so we will all know for sure what these strange things we see are. Au fait- I would love to hear about those experiences you've had, especially the one that you can't find any earthly explanation for. You have me curious!.. Maybe an idea for a future hub ;) Take care! Thank you Jamie Brock, for reading and commenting! Very much appreciate your taking the time. I have seen some strange things, and one of them could not possibly have any explanation of normal for this planet. Even so, I keep an open mind and await scientists to let us know what is really happening. artblack01: Thank you for your comment. As I pointed out in previous responses to other comments, there is no way of knowing if the signal came from a stationary source, and/or extraterrestrials. If beings from another world did in fact initiate the Signal, they are not necessarily limited to what we Earthlings are capable of. Just because we were not able to send or receive radio signals prior to 1878 doesn't mean they couldn't send them. If you watched the video you would know that the 200 lightyears it takes to send a message to certain parts of the universe and then receive a response was covered. As I have also said before, no one is saying this Signal has been proven to be an attempt of extraterrestrials to contact us. Not me, or anyone I quoted, or anyone in the video or at the National Geographic link. My title was a question, not a statement. People will read it in their own way as you seem to have done. All I can do is write it. I can't control how people read between lines that aren't there, or what assumptions they may make, depending often times on what they want to read -- not so different from yourself. I just report my research findings, and not one of them had a definitive answer as to where the Signal came from. Some of them were the same research sources you said you used and that you recommended. I listed them in the comments section here for anyone who questions them to read for themselves. Thank you again for taking such a keen interest in one of my most popular hugs! Au fait- Oh yeah, definitely... There are so many true accounts and so many of them with eerily similar details....It does make me wonder. Also there have been things seen in the sky that nobody to this day has figured out what they were..I will never forget that movie 'Fire In the Sky' that was based on a true story. I have not seen anything personally but I still believe that we are probably not alone. Thank you for reading and commenting on my hub, Jamie Brock. I'm glad you watched the video and got the whole picture so to speak. The thing no one seems to consider is whether the signal may have come from a spacecraft heading this way, and maybe that spaceship can surpass the speed of light. Then the Signal would not necessarily have come from 200 lightyears away . . . nor would the signal have come from a stationary position. Just conjecture on my part. We humans may not have had radio until 1878, but beings of superior intelligence to us very well may have had radio and a lot more. Just because we couldn't pick their Signal up before 1878 doesn't mean they couldn't send a Signal before then. So often we make the mistake of judging others by ourselves, and I think judging extraterrestrials, wherever they may exist, would be an even bigger mistake than judging each other on this planet by ourselves. I'm waiting for the governments to feel we citizens can handle the truth about these strange happenings and tell it to us straight. Will be interesting to know, if what so many people believe, that we have been and continue to be visited by aliens from other worlds, or if all of these things truly have an 'Earthly' explanation. artblack01: Thank you for another comment. I can sort of agree with you on this one. I don't know about questioning something forever, but certainly for a while. Most good scientists know there are no permanent answers to most things and they are having to revise their conclusions all the time, because of new discoveries that alter what they thought they knew about old discoveries. xstatic: Thank you for reading and commenting. Agree with you that the universe is so vast that it would be far more surprising if there were no other intelligent life out there. What I wonder is if there is life far advanced from our own somewhere in the universe, why would they want to contact us? When members of the Lewis and Clark team exploring the western states confronted a new species they didn't pick their brains to see what they knew, they ate them to see if the new animal might be something yummy to add to their menus! Why would humans so far less advanced than extraterrestrials appeal for other reasons? Just a thought . . . Thank you Science for checking out my hub. The sources were the same for both of us (me and artblack01), but we seemed to have read them differently. I listed my sources so that everyone could check them out for themselves. John Merrill: Thank you for taking time to check the references and for commenting. Yes, it remains a mystery. Thank you for commenting Shyron. Scientists are certain it wasn't bogus, they just haven't been able to pick up the signal since. The video link I put in the hub to National Geographic would add a lot to the information, but it seems like people aren't watching it. Actually, from all the accounts I've been able to find, and there were several, some of which I listed here in the comments section, the possibility of the Signal originating here on this planet or of being mere static from out space has been pretty much ruled out. Thank you for your comments, Bobby. I always appreciate when you take time to read and ruminate on my hubs! dragonflyfla: Thank you for reading and commenting on my hub. Appreciate your taking the time. Can't remember if I saw the movie Contact, or if I just saw the trailer. I've seen so many alien movies over the years . . . I'm happy to leave alien hunting to other people, but if there is someone out there interested in participating, I hope they will follow the link you left in your comment to learn how to go about it and get involved with SETI. chamilj: Thank you for reading and commenting on my hub. I very much appreciate your taking the time. I agree with you -- I think there is intelligent life other than our own in the universe. 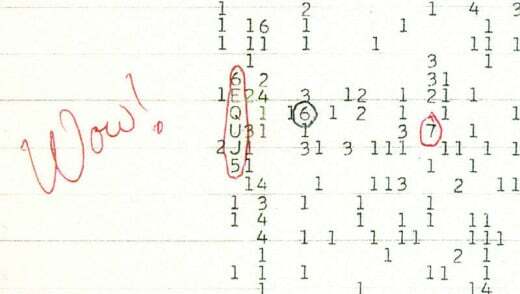 Sorry to keep beating this thing up but your title says the wow signal could be a response... The closest possible signal is 200 years away donut would take 400 years to say hello to each other. We have only had radio since 1878. Even our first signal hasn't reached the closest possible receiver on another planet. As far as this signal being from an ET, again, I believe only the ones that wish for it to be believe it is, while the rest of us know that if it's the only signal it can't be from a distant artificial source. No repeats, not a communication. Au fait- This is interesting! I had never heard of this either. In the video when it was talking about how it had taken that signal 200 years to get here, it's just amazing to me to me.. I can hardly wrap my head around it! Very interesting, Voting up! Science is a constant search and eve if an answer is found the answer will be questioned ad infinitum. ChristineS: Thank you for reading and commenting. Agree, that there must be other intelligent life in such an enormous universe. Yes, all the sources I accessed, which I have listed in the comments section here, have said scientists continue to look for the source of the Wow Signal even 35 years later. I don't believe that I heard about this either, and being an old Rod Serling fan, there is always hope. There may be no proof, but there are a hundred million galxies discovered now and each galaxy has a hundred million chances for intlelligent life on some planet. It is folly to think we are truly alone. Fertile Forest: Glad you enjoyed this hub. I mainly wanted to inform people about this event -- people like myself who had somehow missed what must have been a lot of excitement when this Signal was first discovered. Thank you for reading and commenting! artblack01: Thank you for reading and commenting on my hub. As you may have noted, I made no conclusion about the Wow Signal. Neither myself nor anyone I wrote about is saying that the Wow Signal is definitively an effort of extraterrestrials to communicate with humans. I usually respond to comments in the order received, but I'm making an exception in your case. I don't have a TV and when I went to NASAs website, they offered nothing on the Wow Signal. "He [Ehman] later recanted his skepticism somewhat, after further research showed an Earth-borne signal to be very unlikely, due to the requirements of a space-borne reflector being bound to certain unrealistic requirements to sufficiently explain the nature of the signal. Also, the 1420 MHz signal is problematic in itself in that it is "protected spectrum": it is bandwidth in which terrestrial transmitters are forbidden to transmit due to it being reserved for astronomical purposes." "More than three decades later, the Wow Signal, as it has come to be known to SETI researchers, remains both the first and best potential evidence of communication from extraterrestrials, and one of the most perplexing mysteries in science." NASA, Wikipedia, several nova programs you might be able to find them on YouTube. There of course will be people who want to believe the wow signal is of ET origin and will deny any evidence or article to the contrary, so I'll leave it up to you. Interesting. I checked out some sources and it seems they really haven't figured out where the signal came from, even after 35 years, but they did rule out its being a hoax or any of the normal noise or static in outer space. Like the way your articles make me think about things I might not think about normally. Most interesting! But, I would always wonder if a returning signal would be bogust or the real thing. Thanks Au-fait for coming up with the most unusual hubs. Could have been any kind of annomolous propagation...maybe helped to get funding, too. Very interesting topic. I always believe we are not alone in this huge Universe. very interesting - I remember reading about this at some point and had wondered if they had continued to try to look for more signals. I would have a harder time believing there are not other forms of intelligent life out there in such a vast universe.